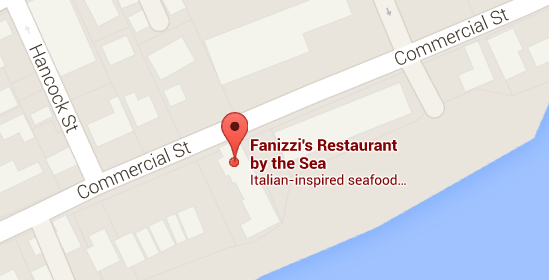 Fanizzi’s has to close due to structural issues on the building. Our last day of business before the closure is January 22, 2016. My HOPE is to re-open on Friday, March 3, 2017 at 11:30 AM. The project will take about 6 weeks. I hope it will be done quicker. We have to install 16 pylons and steel beams to hold up the building. The entire restaurant kitchen has to be removed and they have to cut out the entire kitchen floor and install 6 of the pylons in the kitchen area. It’s a huge project and it needs to be done. Our last day of business is January 22, 2016. We hope everyone will come visit us many times before we close. 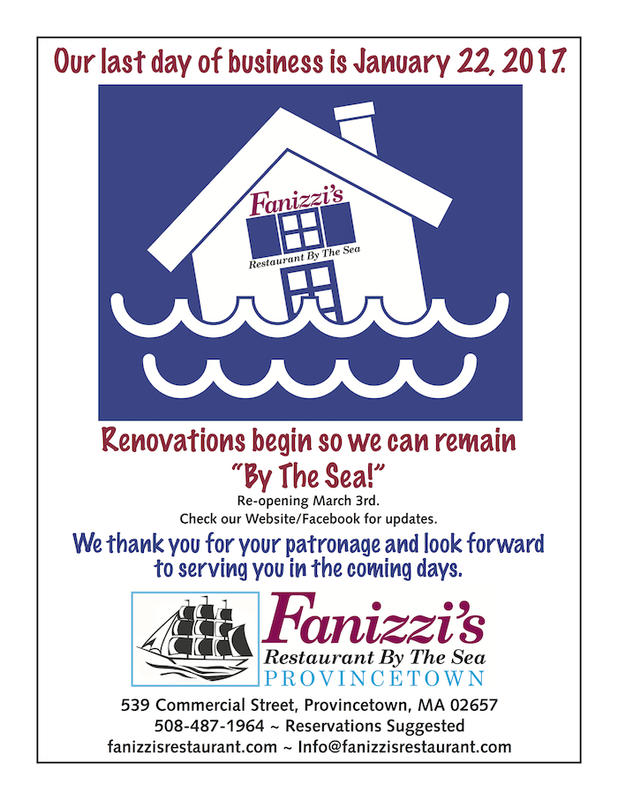 You can follow us on Facebook and on our website www.fanizzisrestaurant.com for up to date information. I want to THANK everyone for their support all year long and we hope to see you before we close and when we re-open.